Non Ecuadorians cannot import cars into Ecuador duty free. Returning Ecuadorians can. 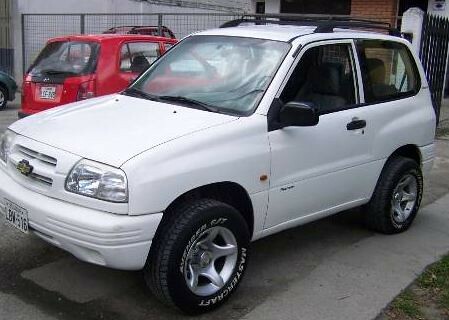 Previously expats coming to Ecuador were allowed one duty free car but only under the condition that they could not sell it for several years. This condition was violated so many times that this benefit was stopped. 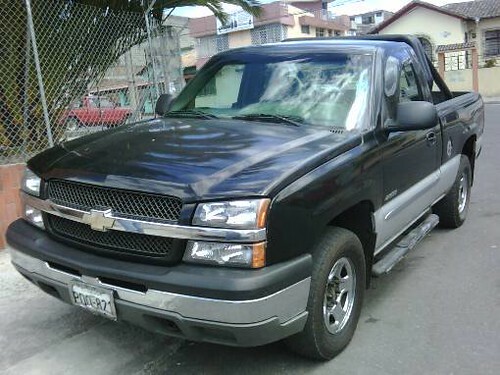 So anyone other than returning Ecuadorians… if they want a car must pay tax. First let’s look at car rentals. 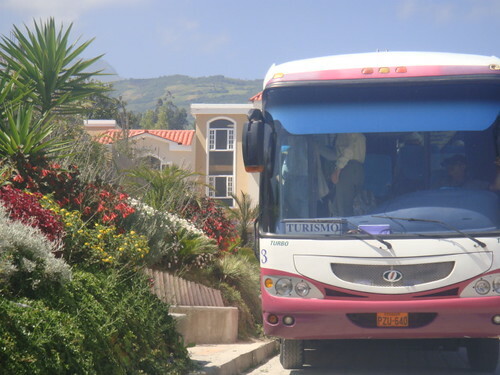 Ecuador car rentals are not in our opinion the best way to travel in Ecuador. 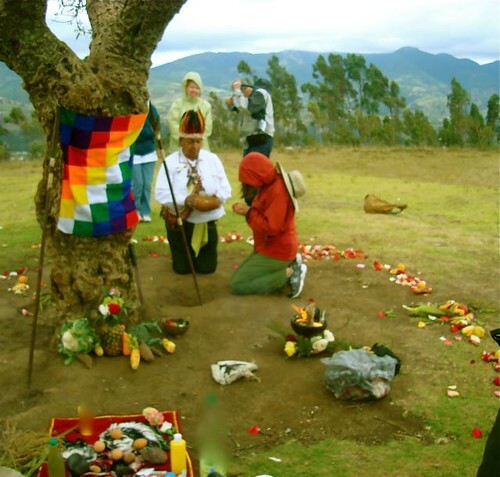 See why we do not recommend renting a car Ecuador car below. Having written this warning let’s look at rental rates. When you rent you may be asked to sign two blank credit card vouchers, one for the rental fee and the other as a security deposit, and authorization for a charge of as much as US$5,000. The unused vouchers will be returned to you when you return the car. Also be careful when dealing with some smaller agencies and always check the amount of the deductible on the insurance which may be up to US$4,000. 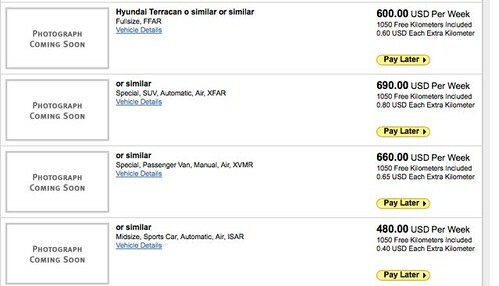 See more warnings about Ecuador car rentals below. 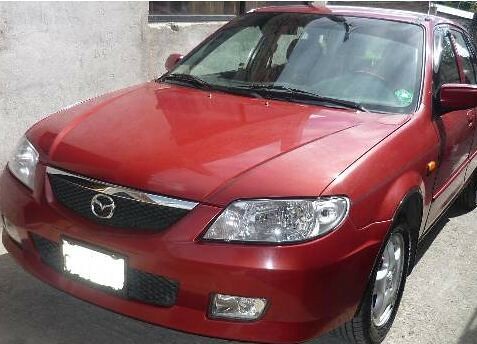 Mazda sedan $86.40 a day including tax and insurance with no mileage charge. Yaris sedan $122.90 a day including tax and insurance with no mileage charge. 4 x 4 Vitara 3 doors $ 98.40 a day including tax and insurance with no mileage charge. 4X4 Grand Vitara 5 door $132.90 a day including tax and insurance with no mileage charge. I used the Avis reservations service and applied for a week. Here are the Avis car rental rates for July 2010. 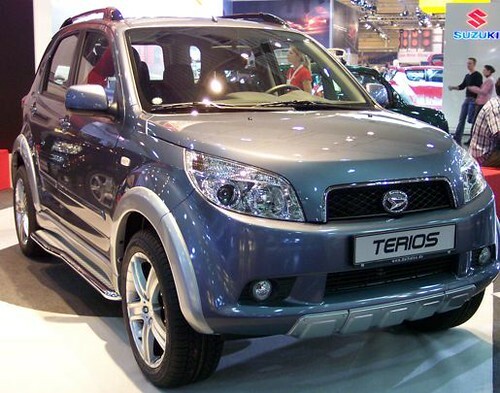 Hertz last year had the 4 x 4 Suzuki Terios Mini SUV at $117.20 plus 12% tax plus basic insurance of $7 a day or upgraded insurance at $15. 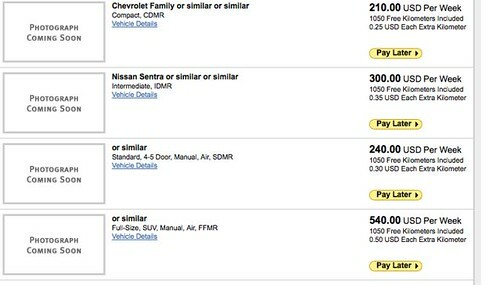 Hertz also charged for mileage over appx. 100 miles (150 km) a day. I used the Hertz reservations system and booked the same week… leaving from and returning to Quito Airport. Here are Hertz Ecuador weekly rates for July 2010. 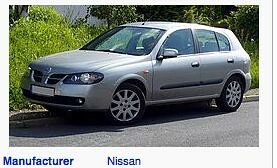 Budget Rent A Car last year offered the compact Nissan Almera at $ 80.42 including tax and insurance. and free mileage with a minimum three day rental. 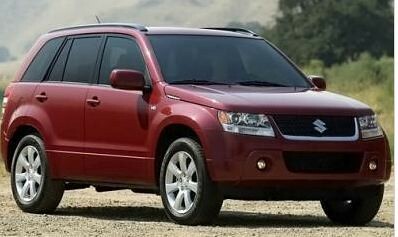 A 4 x 4 Grand Vitara is $106.42 including tax and insurance. and free mileage with a minimum three day rental. We also checked out Simon Rent a Car. 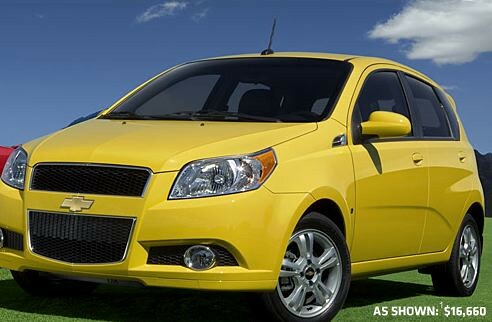 Last year Simon offered a compact Chevrolet Aveo for $56.20 a day including tax and unlimited mileage plus 6.00 + 12% tax a day for basic and medical insurance. They had a 4 x 4 Rodeo $75.72 at a day including tax and unlimited mileage plus 6.00 + 12% tax a day for basic and medical insurance. Here is Simon’s quote for July 2010 for a compact… $265 for a week. Be sure to note the deductibles on insurance. Here is their Class D (They offer A ro E) car quote. 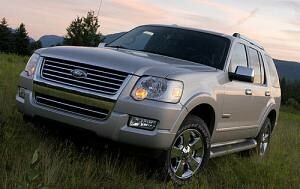 Note these important facts for all Ecuador car rentals. Have a passport or resident card (cédula). You may be asked to sign two blank credit card vouchers, one for the rental fee and the other as a security deposit, and authorization for a charge of as much as US$5,000 may be requested against your credit card account. The unused vouchers will be returned to you when you return the car. We hope to help you when you visit Ecuador… from buying a home to renting a car… and we recommend do not rent a car, get one with a driver. Drivers are delightful, knowledgable and often cheaper than renting a car. Low local labor costs in Ecuador mean DYI does not make sense here. Get a driver… help create employment…. enjoy your trip more… be safer and perhaps save money. 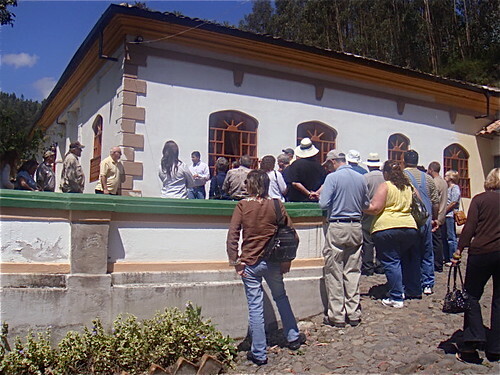 Here are comments from readers about Ecuador car rentals. Merri and I have found some of our greatest experiences and places in Ecuador through our car drivers. A good driver knows the good and safe and the obscure. Good drivers have a degree in tourism and know the areas where they drive… can provide social and educational background. Good drivers can help if you have any problems. Luisa Cordova Pino, operation manager at Columbus Travel can help you with Ecuador car rentals. Now let’s look at car prices. The higher the price of a car, the greater the difference in cost. 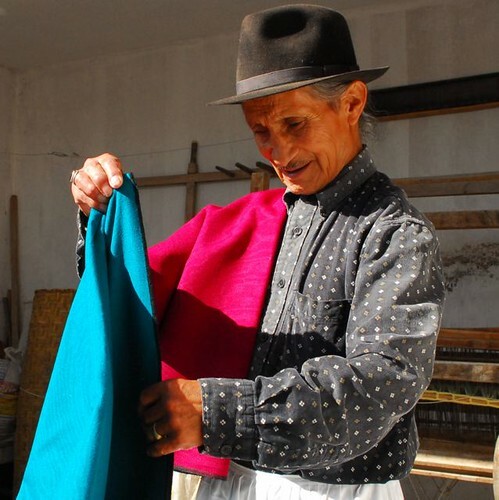 This is in part because the percentage of Ecuador’s duty rises with price. In other words a Mercedes may have 100% duty and a subcompact almost none. 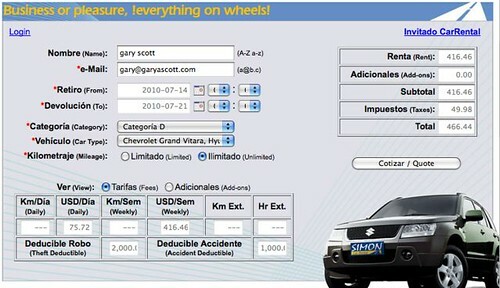 Here are several used Ecuador cars offered as of yesterday, August 1, 2009. 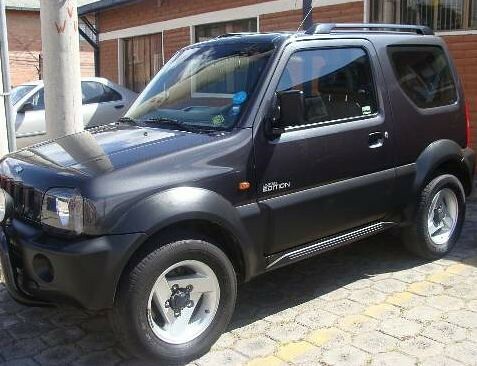 Here is a 2005 Chevy Jimny with 35,000 miles at $11,200 asking. The 2001 Chevrolet Grand Viatra, with 58,000 miles has an $11,500 asking price. 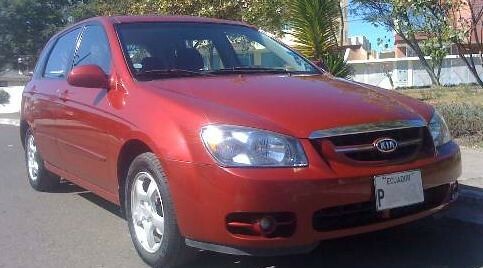 2008 Mazda Alegr0, 18,000 miles, $14,800. 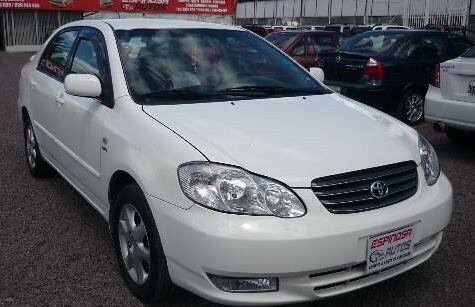 2006, Kia Cerato, 30,000 miles, $11,600 asking. 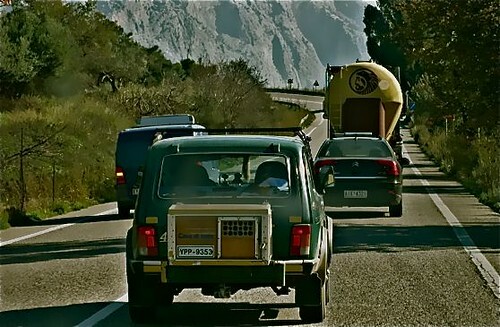 Previous articles at our site have mentioned that Merri and I do not have a car in Ecuador nor do we drive in Ecuador. You can obtain new Ecuador car prices for 239 different models, 220 used cars and a list of Ecuador car dealers as an Ecuador Living subscriber. 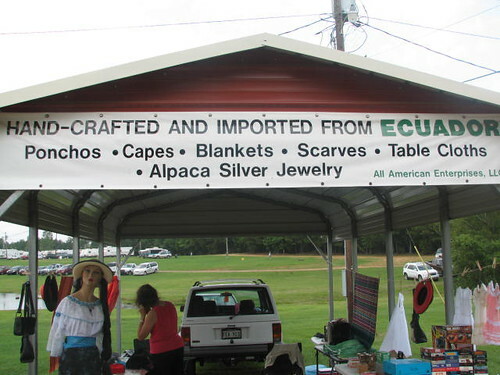 Premium Ecuador Living subdcribers can go to the password protected car price site here. Keep in mind that buying cars in Ecuador requires a certain amount of tire kicking and horse trading… like most places in the world. 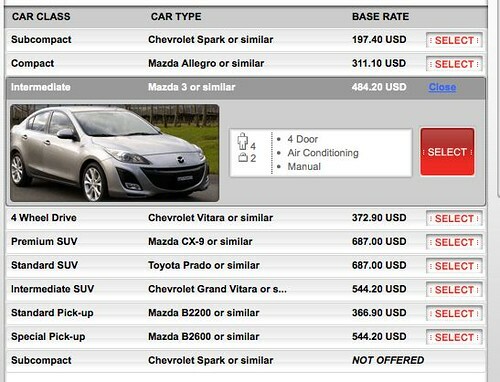 So the Ecuador car prices shown are asking prices. You’ll do better than the prices shown if you bargain.